Rightardia upgraded Google's feedburner to use all of its features that include the emailing of Rightardia posts. 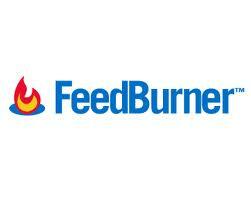 Feedburner allows Rightardia to automatically notify subscribers when new articles are added to our blog and site. We can also notify our followers on Twitter and promote your photos on Flickr although we don't use these features at this time. Feedburner’s powerful features add yet another tool to the blog. Stanfill is an excellent cartoonist Rightardia first noticed on Saturday's Open Salon. Tea Party Nation President Judson Phillips said denying the right to vote to those who do not own property "makes a lot of sense" during a weekly radio program. "The Founding Fathers originally said, they put certain restrictions on who gets the right to vote," Phillips said. "It wasn't you were just a citizen and you got to vote . . ."
"If you're not a property owner, you know, I'm sorry but property owners have a little bit more of a vested interest in the community than non-property owners." Approximately 33% of Americans are renters, according to the National Multi-Housing Council. During the same radio program, Phillips discussed with David DeGerolamo, the founder of tea party group North Carolina Freedom, the repeal of various constitutional amendments. and the 26th Amendment, I believe it is," Phillips said. "Do you know which one that is, David?" "No, but I know which one I want repealed," responded DeGerolamo. "I want the 14th Amendment repealed." The first clause of the 14th Amendment grants birthright citizenship to anyone born in the US, regardless of whether their parents are citizens. The second and third clause prohibits the government from depriving persons of life, liberty, or property without due process and requires the government to provide equal protection under the law, respectively. BTW the 26th Amendment states: The right of citizens of the United States, who are eighteen years of age or older, to vote shall not be denied or abridged by the United States or by any State on account of age. Aparently the Tea party wants to raise the voting age. Wow! Is this what the GOP means by strict constructionist? First of all, limiting the right to vote to property owners would disenfranchise the poor and minorities. What about men and women who served in the Armed forces, but did not own property? 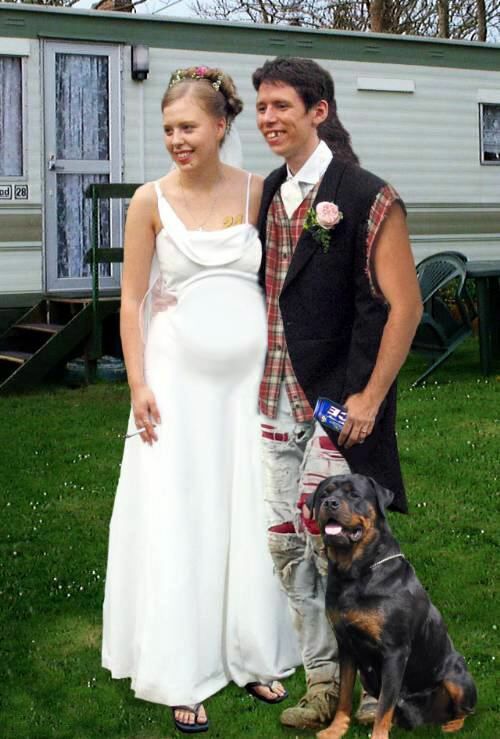 The Tea Baggers would deny these people the right to vote. Second, a repeal of the 16th amendment might sounds like a good idea but it would be simply be replaced with another tax. How do these Tea Baggers think the Armed Forces are funded? The appointment of senators by state legislature is anti-democratic and smacks of back room politics. The US is an indirect democracy and we don't need to make any more indirect. Of course, changes to the 14th amendment would prevent anyone born in the US from automatically becoming a US citizen. 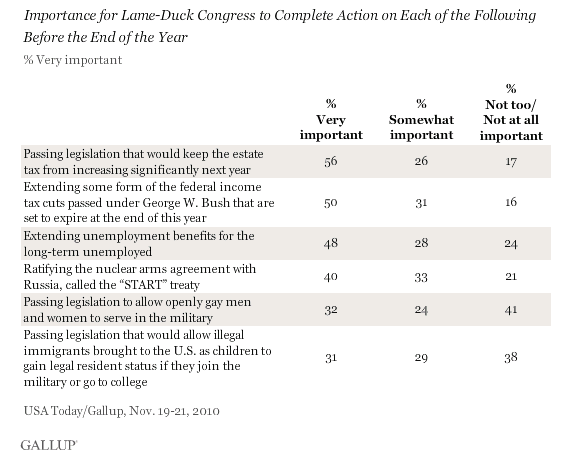 These are radical ideas that would never make it through both legislative branches. Considering the Republicans only control the House, these Tea Baggers seem to have a reality problem. If you open up the Constitution with a constitutional convention, there are other amendments could be changed . Democrats would like the second amendment to only apply to militias and the Citizens United ruling would also be addressed. Do Republicans really want to open this bucket or worms? The Ninth Amendment provides Protection of rights not specifically enumerated in the Constitution. Obama has a right to privacy and is not obligated to reveal any personal information to foaming mouth right wingers. The Birthers have no right to disparage the president or to deny he is the legitimate president of the Unites States. Her name is Wilma. Give her a perm, some makeup and lipstick and she would fit right in as a Wal-Mart shopper. 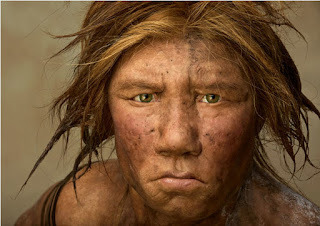 She was featured in National Geographic magazine. 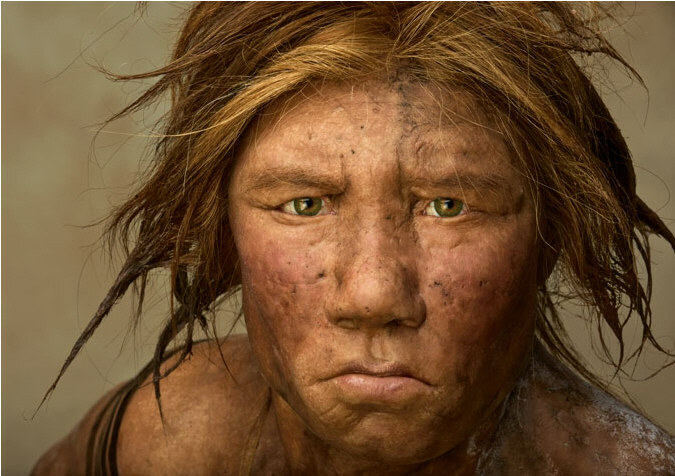 This is what her mate would have looked like. Hey, where have I seen him before? His name is Jorge. This dude looks like trouble! 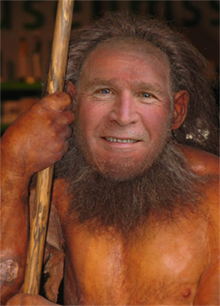 Jorge originated the phrase, 'It's so easy a caveman can do it." If it’s between my mom and Gov. Palin, I’ve got to go with my mom, just in general, because she’s my mother. So you’re not going to get me in trouble with disagreeing with my beloved mother of 85 years, who occasionally from time to time says things that give us all great joy, and sometimes some consternation. The battle betwen the County Clubbers and the Tea Baggers continues. . . Stay tuned! Is Wikileaks sitting on Bank of America documents? At the moment, for example, we are sitting on 5GB from Bank of America (BOA), one of the executive's hard drives," old thetechnology site Computer World in an article published on October 9, 2009. Now how do we present that? It's a difficult problem. We could just dump it all into one giant Zip file,but we know for a fact that has limited impact. To have impact, it needs to be easy for people to dive in and search it and get somethingout of it. Although Assange's hint is far from a dead giveaway, his strategic approach to publishing secrets suggests that his next target may well be Bank of America, th enation's largest bank in terms of assets. will give a true and representative insight into how banks behave at the executive level in a way that will stimulate investigations and reforms. It would blow the lid off an "ecosystem of corruption," he added. Yep, this is the lady who ran the story on Fox and Friends on the Taliban armed monkeys, an NMA spoof. She is Gretchen Carlson. Gretchen also ran this bogus story, Gretchen was not schooled in journalism and it shows. She does not have a nose for news and should have demanded this story have two sources before she made a fool out of herself again. These Birther folks are hopelessly biased. The real issue is that the right wing has not been able to accept the Obama victory in the 2008 elections. A Birther is fundamentally a very sore loser. After two years and 12 consecutive defeats in court, it's time to move on. MOSCOW, November 30 (RIA Novosti) The chief of Russia's Armed Forces General Staff on Tuesday denied media rumors that Russia had deployed short-range nuclear missiles near borders with NATO allies. The Wall Street Journal said in an article published on Tuesday that the United States believes Russia had moved "short-range tactical nuclear warheads to facilities near NATO allies in . . . spring." "We have not deployed any missiles in the Kaliningrad region," Gen. Nikolai Makarov said. Moscow has long opposed the deployment of NATO missile-defense facilities near its borders, claiming they would be a security threat and destroy the strategic balance of forces in Europe. The United States scrapped earlier plans last September for an antimissile defense system in the Czech Republic and Poland. Moscow welcomed the move, and President Dmitry Medvedev said later that Russia would drop plans to deploy Iskander-M tactical missiles in its Kaliningrad Region, which borders NATO members Poland and Lithuania. The Iskander-M system (NATO reporting name SS-26 Stone) is equipped with two solid-propellant single-stage 9M723K1 guided missiles with "quasi-ballistic" capability. The missiles have a range of 400 km (250 miles) and can reportedly carry conventional and nuclear warheads. However, Washington has not given up on its European missile shield initiative. In May, the United States opened a temporary military base in northern Poland, just 80 km (50 miles) from the border of Russia's Baltic exclave of Kaliningrad, in accordance with an agreement negotiated under former President George Bush in 2008 - a move which rekindled criticism from Russia. The Wall Street Journal article coincides with the ongoing battle in the U.S. Congress over the ratification of the new Strategic Arms Reduction Treaty (START) with Russia. It could fuel Republican Party opposition to the new START treaty and hamper President Barack Obama's efforts to get the document ratified. According to the piece, "Republican critics in the Senate say it was a mistake for President Barack Obama to agree to the Strategic Arms Reduction Treaty (START) treaty with Russia...without dealing with outstanding questions about Moscow's tactical nuclear weapons," which the treaty does not address. Rightardia believes the GOP position is bogus. The START treaty was first proposed by president Ronald Reagan and only addressed strategic systems. The US can save billions by reducing its nuclear arsenal by one third. The US spends billions every year for missile men to sit in solos 'waiting for Godot," while plots fly B52 local missions around their air force bases and submariners tool around in billion dollar nuclear subs waiting for Armageddon. The most apt description of a nuclear exchange is Mutually Assured Destruction (MAD). 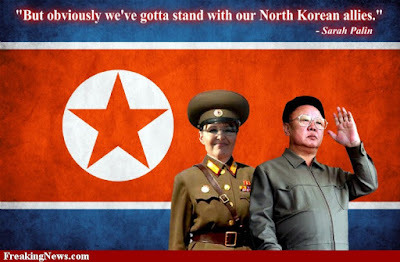 Putting a person such as Sarah Palin in command of the US nuclear TRIAD is a very scary proposition, indeed! Rep. John Shadegg (R-AZ) initially refused to answer the question about Sarah Palin being qualified for presidnet. BERLIN - The draw of the four groups for the women's World Cup is below. the FIFA tournament to be held from June 26 to July 17 next year. The matches will take place in Germany. Group A: Germany, Canada, Nigeria, France. Group B: Japan, New Zealand, Mexico, England. Group C: United States, North Korea, Colombia, Sweden. Group D: Brazil, Australia, Norway, Equatorial Guinea. Disabling cell phones in cars? Some researchers say distraction from cell phones in the car is the same as driving drunk. The U.S. Department of Transportation is considering adding new technology to cars that would automatically disable cell phones once the driver hits a certain speed. MSNBC Morning Joe Scarborough is out with a vicious new post encouraging Republicans to "man up" and take Sarah Palin down a peg. "Republicans have a problem," Scarborough writes at Politico. "The most-talked-about figure in the GOP is a reality show star who cannot be elected." I suppose Palin's harsh dismissal of this great man is more understandable after one reads her biography and realizes that, like Bush, she accomplished a great deal in her early 20s. Who wouldn't agree that finishing third in the Miss Alaska beauty contest is every bit as treacherous as risking your life in military combat? Maybe the beauty contestant who would one day be a reality star and former governor didn't win the Distinguished Flying Cross, but the half-termer was selected as Miss Congeniality by her fellow contestants. Former Reagan speechwriter Peggy Noonan didn't take kindly to Palin's reduction of the Gipper's legacy, going as far as to call her a "nincompoop." Republican strategist Karl Rove questioned Palin's presidential "gravitas" in October. Rive wondered if her new reality TV show on TLC would showcase her value as a potential head-of-state. Sen. Lisa Murkowski took a moment away from her write-in campaign recently to publicly question Palin's "leadership qualities" and "intellectual curiosity" for becoming president. It's all part of a larger trend that Politico reported in October. County Club Republicans cannot allow Sarah Palin to win the GOP presidential nomination. Reporters Mike Allen and Jim VaneHei later characterized the basis of their piece as the worst kept GOP secret: The Blue Blood Republicans fear of backlash amongst Palin's adamant and enthusiastic following. Rightardia predicted months ago that party insiders would never let Sarah Palin run for president. She is not a team player, has an apparent personality disorder and is a loose cannon who doesn't take advice well. She rarely keeps staff more than a year and is also very vindictive. She is a political diva. A new billboard is causing a bit of a stir in New Jersey. As the bottom of the billboard reveals, the space was rented by American Atheists. Today, the president of that organization, Dave Silverman, stopped by America Live to talk about religion, free speech, and the “war on Christmas” with Megyn Kelly. What did you expect from the grifter-elect? Sarah Palin: "But obviously We've got to stand with our North Korean allies." This is the way the Grand Old Prostitutes (GOP) have done business since the Civil War. The Greek fraternity and sorority system provides the pipeline of shills and whores the GOP needs to operate. The Birthers have not done well in court and have been defeated 12 times in a row. Hard as they try, the Birthers cannot convince the courts that Obama is not a US citizen. The Birthers need to sit down, take a deep breath and develop a new approach. It is quite clear that the Founders never intended for a black person to be president. 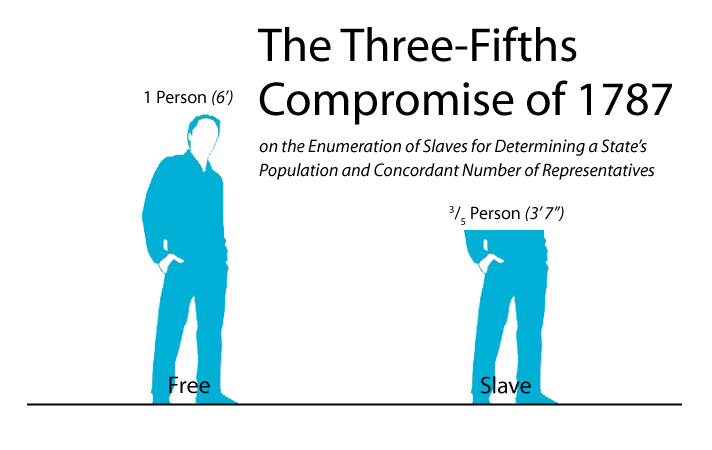 In other words, black people only counted as 3/5th of a person. it is obvious the founders only wanted a whole person to run for the office of president. It is therefore clear that it was the original intent of the Founders that a black person could never be president. 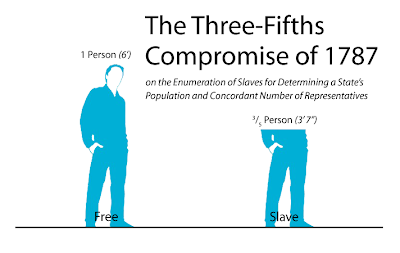 Otherwise, the Founders would have given blacks the other two fifths to make them complete. Since Obama is only 3/5ths of a person, he is ineligible to serve as president. 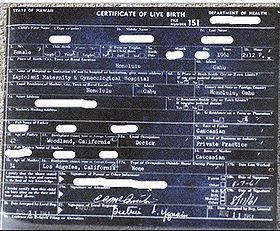 An image of a sample Certificate of Live Birth issued by the State of Hawaii in 1961. The certificate includes detailed information such as hospital and physician names . The Birthers have now lost 12 court cases in a row challenging Obama's citizenship. Today the Supremes without comment rejected a challenge from Charles Kerchner Jr. Kerchner sought a trial in federal court forcing the president to produce documents regarding his birth and citizenship. Kerchner argued the framers of the 1789 document intended a "natural-born" citizen to mean someone born in the U.S. to parents who were both American citizens. He based this on how historian David Ramsay defines “natural born Citizen” in 1789. Here is the crux of the argument. Most attorneys know the US legal system is based upon English common law. The Magna Carta is the basis of much of English common law. Some right wing religious organizations have unsuccessfully used 'natural law" arguments to keep the 10 Commandments in court houses. FactCheck.org staffers have now seen, touched, examined and photographed the original birth certificate. We conclude that it meets all of the requirements from the State Department for proving U.S. citizenship. Claims that the document lacks a raised seal or a signature are false. We have posted high-resolution photographs of the document as "supporting documents" to this article. Our conclusion: Obama was born in the U.S.A. just as he has always said. source: Henig, Jess; Miller, Joe (November 1, 2008). "Born in the U.S.A.: The truth about Obama's birth certificate". FactCheck.org. http://www.factcheck.org/elections-2008/born_in_the_usa.html. Wirehead has a 40 year -old relative who is a 100 per cent rightard. He loves talk radio and Rush Limbaugh, and would sit out in his car listening to AM radio when he lived at home for a couple of years. Wirehead had to block Fox News on TV because he didn't want his children to hear the hate and misinformation. To prove this man is an uncompromising rightard,Ricky actually bought a rifle with his unemployment compensation. Wirehead has been telling this ne'er-do-well to buy a new vehicle because his 1996 truck has been failing for at least two years. To protect the innocent, we will call this rightard, Ricky the Rightard. After months of searching Ricky the Rightard finally found an 8 cylinder truck he could afford. Wirehead told him to go get it and offered him some tips on the purchase. Reason number 1: The vehicle cost more than $10,000 and he didn't want to pay that much for the car of his dreams. Wirehead's counter: Either buy the car you want or opt for 6 cylinder version that will be less than $10,000. $10,000 is an arbitrary number. Reason number 2. The car payments may be more than $200 per month. Without negotiating with the dealer, Wirehead expected to monthly payments to be about $200 per month assuming Ricky traded in his own car and did some tough negotiation. However, Ricky wanted to keep his old car in case he lost his job and the new car was repossessed. This meant he would lose at least $1,000 on the trade in and have to insure the second car for another $40 a month. He was also thinking of selling the old car which is probably worth about $500. Wirehead's counter: Trade-in the old car and get a $1000 trade in and also avoid another $40 in insurance a month. Wirehead believed Ricky was overly fearful about possible outcomes after losing the old car which may also have sentimental value. The bottom line was he could not really afford to operate two cars, particularity as a single man. Wirehead pointed out he may have to pay to get the old truck hauled to a junk dealer if he doesn't get rid of the truck soon. Reason Number 3: The auto dealer will want too much for the car because it is the model and color I want. Wirehead's counter: The auto dealer doesn’t know what you want unless you tell him. Dealers price cars based on the market, not an individual’s auto preferences. Reason Number 4: I don't like to negotiate with auto dealers. Wirehead's counter: Welcome to the real world. Wirehead's eldest son bought a car from the same dealer and did a bang-up job in negotiating the price after Wirehead prepped him with buying information form Consumer Reports. Wirehead's son will help the rightard buy the vehicle from the salesmen he purchased his car from. Wirehead's son knows how to get the job done. He will not try to talk himself out of the transaction. BTW, The ConsumerReports Buying Guide 2011 is now out. If you are thinking of making any major purchase, this guide is excellent and has many tips on buying a new or used car. This is a good explanation of why Republicans and Democrats don't work well together. A caller claiming to be a moderate Democrat asks Limbaugh how the two parties will get something done. Limbaugh says the there is no way to bridge the gap. Limbaugh sees no possibility of getting anything done with liberals. The solution, "they (Democrats) must be politically beaten." According to Limbaugh there is no such thing as a moderate Democrat. This is after the GOP has been purging moderates from the Republican party using the Club for Growth for years. The US is in dire economic starts and if the two parties can't get together, we will end up like Greece and Ireland which is what Wayne Madsen Reports has predicted. The Constitution is an obstacle to them, it's a Bible to me. Of course, the Iraq War was contrived, there was no legal basis for he GITMO detention facility and the torture of Iraqis clearly violated the Geneva conventions and US sensibilities. Washington (CNN) -- The Supreme Court has again cast aside another appeal that raised doubts about President Barack Obama's U.S. citizenship. The justices without comment rejected a challenge from Charles Kerchner Jr. Kerchner sought a trial in federal court forcing the president to produce documents regarding his birth and citizenship. English law is the legal system of England and Wales, and is the basis of common law legal systems used in most Commonwealth countries and the United States except Louisiana (as opposed to civil law or pluralist systems in use in other countries). It is clear that Ramsay did not follow the English common law but rather natural law, the law of nations, and Emmerich de Vattel, who also defined a “natural-born citizen” the same as did Ramsay in his highly acclaimed and influential The Law of Nations, Or, Principles of the Law of Nature, Applied to the Conduct and Affairs of Nations and Sovereigns. Natural law or the law of nature (Latin: lex naturalis) has been described as a law whose content is set by nature and that therefore has validity everywhere. Cicero wrote in his De Legibus that both justice and law derive their origin from God. Christians often refer to the 10 Commandments as natural law. Fortunately, this dubious argument fell on deaf Supremes ears. Even if the Supremes had agreed with Kerchner, it does not have the authority to remove a standing president from office. Readers of popular men's magazine Maxim have voted a 22-year-old nurse Russia's sexiest woman. Actress Kristina Asmus is famous for her role in the Russian version of the hit hospital comedy Scrubs. Could Asmus be Russia's Katherine Heigl? She beat out 99 other women who have posed for Maxim for the title. Ex-Russian agent and femme-fatale Anna Chapman came 18th. Many thought she would top the list after she was spotted partying alongside Maxim's editor-in-chief. However, Russian men seem to prefer nurses over spies. Cyber monday is a big retail day as Black Friday. Cyber Monday, a day of online-only sales, is expected to rake in as much money as Black Friday. 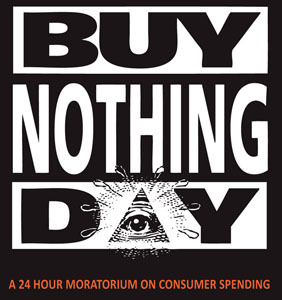 BUY NOTHING! Strike fear into the hearts of the Great White Corporate Shark! The sales are nothing but crap they couldn’t unload during the first 11 months and now they must clear the shelves to sell you more crap for XMas. Rightardia finds it curious that a military intelligence analyst would have access to state department cables. The Major worked in intelligence and it was rare that he ever saw an assessment from the US state Department. This must have been a flaw caused by the 'fog of war" in Iraq in the Defense Data Network (DDN). Apparently, PFC. Bradley Manning downloaded the cables to a USB drives and then burned compressed files to a music CD-RW. Manning erased the music files on the CD-RW to make room for the purloined intelligence data. Mediaite: Sarah Palin calls the Bushes "Blue Bloods"
I don’t want to concede that we have to get used to this kind of thing, because i don’t think the majority of Americans want to put up with the blue-bloods — and i want to say it will all due respect because I love the Bushes — the blue-bloods who want to pick and chose their winners instead of allowing competition. Rightardia predicted the upcoming Republican cat fight between the Tea Baggers and the Country Club Republicans. The cat fight has started. 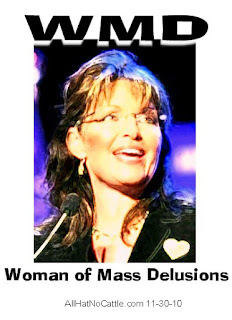 Will the GOP insiders let Palin be their nominee for president? Rightardia doesn't think so. The Republicans like team players, not Queen Bees. Ingraham also asked Palin about NJ Gov. Chris Christie said about Palin on the Jimmy Fallon show. Christie said it was an 'amazing world" and laughed, Palin didn't get what Christie was really saying, but Ingraham undertood it. 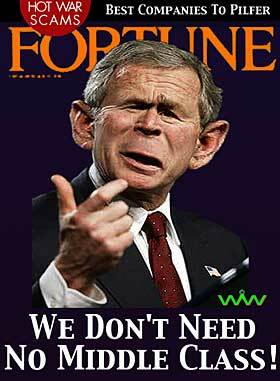 The danger to America is not George W Bush, but a citizenry capable of entrusting a man like him with the presidency. It will be easier to limit and undo the follies of a George W Bush presidency than to restore the necessary common sense and good judgment to an electorate willing to have such a man for their president. The problem is much deeper and far more serious than Mr. George W Bush, who is a mere symptom of what ails us. Blaming the prince of the fools should not blind anyone to the vast confederacy of fools that made him their prince. The republic can survive a George W Bush. It is less likely to survive a multitude of fools such as those who made him their president. Opinion - Al Jazeera English: "The two-party system has given this country the war of Lyndon Johnson, the Watergate of Nixon and the incompetence of Carter. Saying we should keep the two-party system simply because it is working is like saying the Titanic voyage was a success because a few people survived on life rafts." First of all, the "banksters" would be receiving their carte blanche bailouts and Ben Bernanke would have been re-appointed as Chairman of the Federal Reserve. Robert Gates would probably still be the secretary of defence and Sarah Palin would be offering late night comedians endless fodder for their monologues. If John McCain happened to be the one infesting the Oval Office at this time, single-payer health care would surely be "off the table". I am confident that a health care "reform" bill probably would have contained massive giveaways to the insurance and big pharmaceutical industries, with no "robust" public option. We citizens would, I’m sure, have been forced to purchase insurance from the very same insurance companies that spread out a largess of nearly $170m lobbying dollars to Congress in 2009. If we are one of the "lucky ones" that happen to already have coverage, we would have been taxed for the benefit. Without a doubt, McCain’s Justice Department would be protecting war criminals - like John Yoo - of the preceding administration and the McCain Department of Justice (DOJ) would probably be vigorously defending the discriminatory practise of Don’t Ask Don’t Tell for the military. More than likely, under this nightmarish scenario, McCain’s Federal Bureau of Investigation would be committing home invasion break-ins (designated as "legal raids") to intimidate activists. McCain probably would have given himself the power to be judge and jury over any American citizen that didn’t approve of his foreign policy. There is not even a shadow of doubt that McCain would be feigning strictness with Israel, while turning a blind eye to the continued expansions of Israeli settlements in the West Bank and the completely immoral and destructive blockade of Gaza. If the unthinkable occurred and McCain beat Obama in 2008, official unemployment would be hovering around 10 per cent (unofficial around 20 per cent). And one in every five homes would be in danger of being foreclosed upon. We might even be experiencing the widest income disparity between the rich and poor that we have seen since before the stock market crash of 1929! McCain, being the "brave" military man, may have tripled troop deployments to Afghanistan and the needless deaths of US troops and Afghan civilians would probably have increased dramatically. I am sure that McCain would have given huge contracts to the US war machine for drones, mercenaries, airplanes and other military hardware. Being a loyal Bushite, McCain would probably be conscientiously following the Status of Forces Agreement for the slow withdrawal from Iraq that was negotiated between the Bush government, and the puppet regime in Iraq. At least we aren't bombing Iran! . . .
Will progressives ever learn that political pandering and fear-based voting never brings anything but defeat, or are we trapped in a vicious cycle of our own making? Cindy Sheehan is the mother of Specialist Casey A. Sheehan, who was killed in Iraq on April 4, 2004. Since then, she has been an activist for peace and human rights. She has published five books, has her own Internet radio show, Cindy Sheehan’s Soapbox, and has been nominated for the Nobel Peace Prize. Cindy lives in Oakland, CA, and loves to spend time with her three grand-babies. You can learn more about Cindy at Peace of the Action. The fact is that Christians are very much privileged in the United States. Christianity is an ideology in the US that enjoys implicit,and uncritical acceptance and one would have to be a complete . . .idiot to counter the fact that the mythical delusion that Christianity doesn't dominant here. Christians are continuously told that they are special and deserve privileges. Many stores take the Christian sabbath into account and are not open for business on Sundays. Most Christians don't have to work on their holidays. 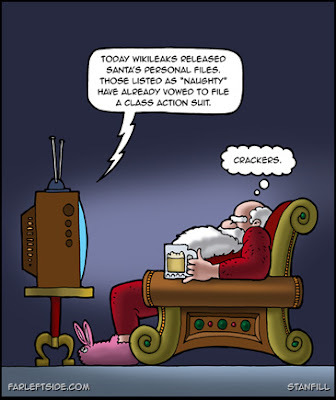 They can assume that television programming will be geared toward their holidays. They can generally construct holiday displays such as nativities without fearing vandalism. Merry Christmas is a greeting that they will most often hear during this time of year and can, with impunity, ignore and be ignorant of the holidays celebrated by other religious groups. In fact, many school events will probably address Christian holidays. There is no shortage of churches for a traveling Christian to worship at and whenever someone talks about or thanks god, Christians can assume it s their god. Almost every hotel in the United States has bibles in their rooms and when there is a need, Christians have many charities to donate to or get assistance from. Rightardia believes many Christan's are today more like the Romans, who were the persecutors. If you look at the religious institutions that support militarism and the invasion of Iraq, look no further than the evangelicals. “Solid majorities of white evangelicals, mainline Protestants, and Catholics favored the U.S. taking military action to end Saddam Hussein’s rule. Support was strongest among Evangelicals, 77 percent of whom supported war, compared with 62 percent of Catholics and mainline Protestants (Gallup). Methodist Bishops even had to repent Iraq War 'Complicity.' GWB was a member of the Methodist church. Many US soldiers in both Iran and Afghanistan who were evangelicals referred to themselves as crusaders and even tried to distribute Bibles in Afghanistan before a commander confiscated and burned the Bibles. Yes, Christians are hardly the persecuted anymore; It's the reverse. 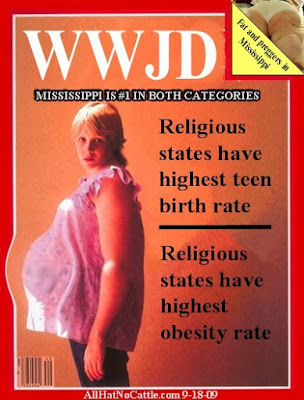 Most of the hatred toward blacks and Muslims comes from right wing evangelicals and fundamentalists. Are conservatives talking down America? While talking about inflation at their Thanksgiving dinners, Glenn Beck falsely claimed that the government removed food and energy prices from its measure of inflation to hide rising prices. He also claimed that a survey showed economists are "worried" about inflation, and that Social Security recipients are not receiving a cost-of-living adjustment because the government "changed the calculation." Yes, Virginia, conservatives have been talking down America and have been doing it since they lost the 2008 elections. Although the clip from CBS’s Face The Nation is not as confrontational as the title might suggest, it’s actually pretty funny. Bob Schieffer annually hosts a round table in an attempt to bring together for an intellectual conversation four authors who wrote serious historical or political books. This year authors Ron Chernow (Washington: A Life), Arianna Huffington (Third World America), Edmund Morris (Colonel Roosevelt), and Bob Woodward (Obama’s Wars. Rightardia doesn't think that Americans are lazy, but we know we are number three in the world in obesity. Rightardia thinks a lot of the Tea Baggers are naive high school Harries and Harrietts who are anti-intellectual because they didn't invest any time in higher education. Many of these people who lack education have seen the businesses, that they had owned or corporation they had worked for, fail. Did the government cause the collapse. ?Well, the Bush administration did what the big corporations wanted and expedited the collapse, but the collapse was caused by the misdeeds of the corporations, not the government. The bailout of the big banks may have been a mistake under TARP 1 and TARP 2. All the bailout did was protect the investments of the billionaires and millionaires. The small investors were protected by FDIC rules. In iceland, the electorate voted down the bailout of the banks and Icleand is doing well economically. The small businessmen, fisherman and farmers rejected the bailout of the most affluent citizens. Of course, iceland is the oldest democracy in the world and they have a direct democracy. In the US we are an indirect democracy that elects people to make decisions for the electorate. There are no national plebiscites in the US. These are needed. 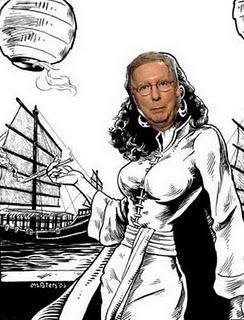 Yahoo News reported that the Communist government of Main Land China that is strongly backed by Kentucky Senator Mitch McConnell. Mcconnell will offer no criticism of North Korea. Why should the Communists in Red China criticize North Korea when the United States Senate minority leader so strongly supports this Communist Nation? As the old saying goes "any friend of yours is a friend of mine". This is a very dangerous situation for the government of South Korea and the United States to be in. After all we learned from an article by Timothy Gallaher of World Net Daily published in July, 2001 entitled "The Real Elaine Chao" that Elaine Chao also is a staunch supporter of the Communist Government in Main Land China. Elaine Chao who is married to Mitch McConnell criticized the Cox Report which exposed the theft of secret technology from the United States by Red China, according to the above mentioned article. Elaine Chao has attempted to say that the Cox Report is racist . . .
"Any friend of yours is a friend of mine" and this means that North Korea has representation in the United States Senate. Keep a close eye on Mitch McConnell. In 2000, Mitch McConnell voted for most favored nation trading status for his good Communist buddies in Main Land China and has been a staunch supporter of Communist China since 1993. What did we get from these actions? Lead tainted toys for our children, dry wall that causes illness, and tainted pet food. Mitch has served as an honorary Chair in the China Foundation. For the good of the United States keep a close eye on Mitch McConnell. South Korea does not need to be intimidated by North Korea and North Korea is supported by Communist China. Communist China is supported by Mitch McConnell and Elaine Chao. Material concerning Israel will not be the focal point of a new exposé by the whistle-blowing website WikiLeaks, Prime Minister Benjamin Netanyahu said Sunday, as Israel and the United States tensely awaited the imminent release of American classified diplomatic cables expected to include secret communiques between the two countries. "Israel is not the center of international attention," the premier said, adding that Jerusalem had not "been updated by the Americans about specific sensitive materials to be disclosed regarding Israel." The U.S. Embassy in Tel Aviv last week informed the Foreign Ministry that WikiLeaks was planning to release hundreds of thousands of American diplomatic cables, some of which could deal with Israel-America relations. The U.S. said it wanted to let the Israeli government know so it would not be surprised and would be prepared for publicity that may cause diplomatic embarrassment. A senior Israeli official familiar with the contents of the message, who asked to remain anonymous because of the sensitivity of the matter, said that according to the Americans, the WikiLeaks material includes diplomatic cables sent to Washington from American embassies throughout the world. Sources in Washington said the documents would be coming out soon, perhaps even as soon as Sunday. The United States has also contacted other allied states, warning them that the communiqués could affect them. The countries contacted reportedly include Afghanistan, Australia, Britain, Canada, Denmark, Finland, France, Norway, Russia, Saudi Arabia, Turkey, and the United Arab Emirates. The cables date from the past five years and include media reports, talks with politicians, government officials and journalists, as well as evaluations and various analyses by American diplomats regarding their host countries. Rightardia would suspect that the cables may be more embarrassing to the Bush administration and reveal connections between Bush neocons, AIPAC and Israel. If the US is double dealing in the middle east on the Palestinian-Israel peace accords, Rightardia hopes that is also revealed. Rightardia found the Estate Tax as the number one issue curious. First, there has been little discussion of this tax. 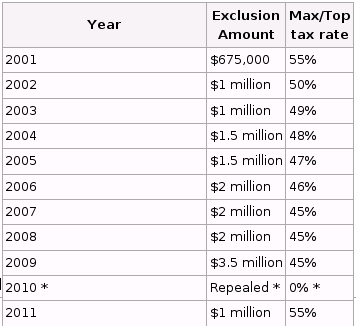 Second, the tax primarily effects the top 5,000 American families. Until GWB suspended the Death Tax, it had been continuously in effect since 1915. 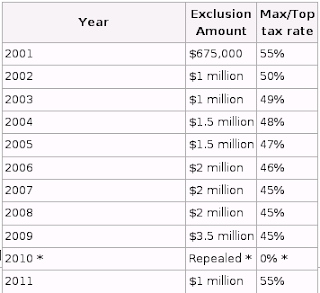 Because of the federal exemptions, this tax dos not affect the average middle class American family. The Chinese have a point. the Chinese produce a high percentage of the world's industrial output, but a byproduct of that is industrial pollution. Perhaps the Chinese should institute and export tax that would be passed on the importers of Chinese goods. China could use the tax revenues to clean up the environment around China's industrial base. 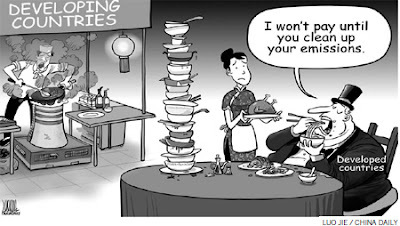 Ultimately China must clean up the Chinese environment. Sunday is always a slow news day, so why not? Rightardia agrees with PETA. Let the animals keep their skins.